"Kind of reworking of an old Victorian-style. So future-retro." 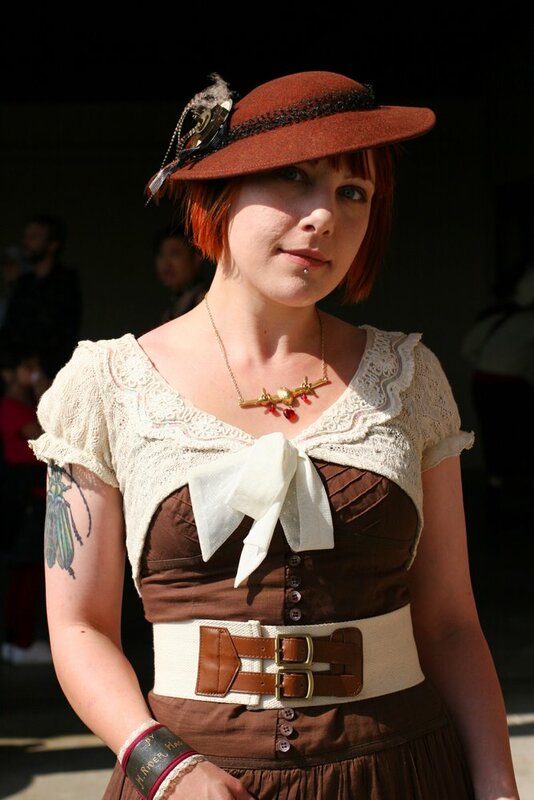 I think Cerise looks lovely in her mixed era outfit, I especially like her hat and spats. 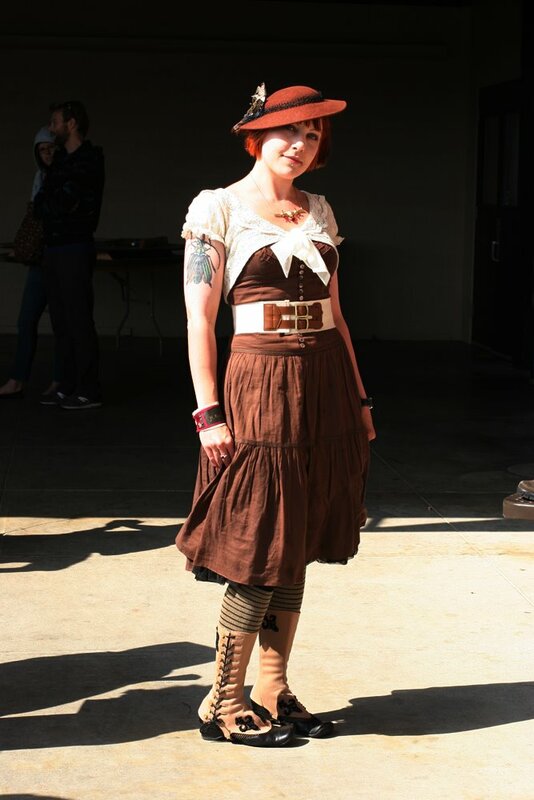 Today's theme is steampunk at Maker Faire. 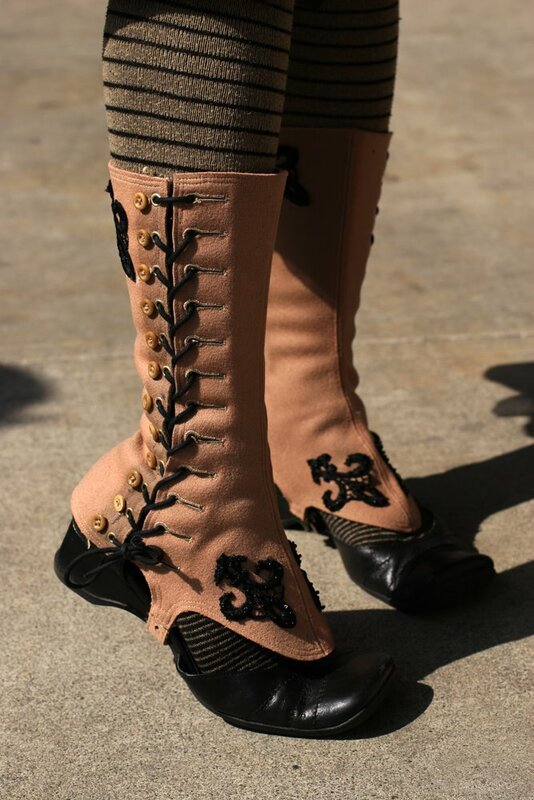 Spats and flats make for convincing boot-esque shoes. Great outfit, Im loving the belt a lot and the necklace. Holy sheet! I *love* her look!